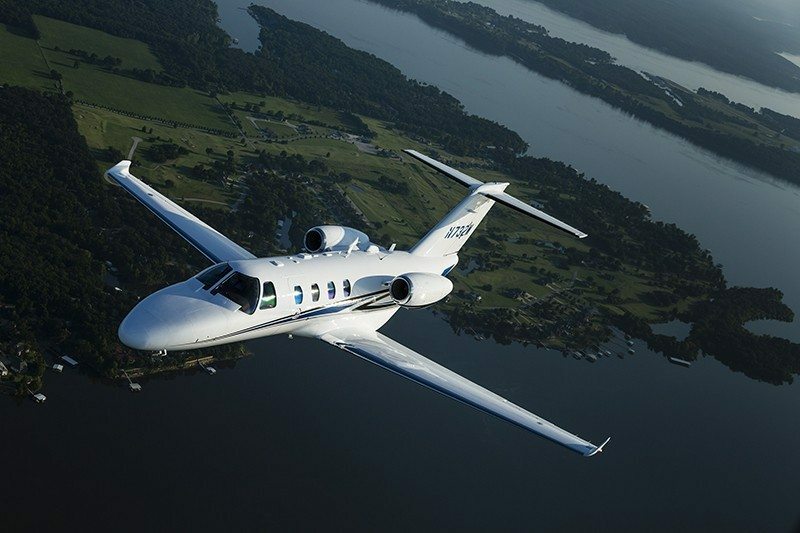 Cessna Aircraft Company, a subsidiary of Textron Aviation Inc., a Textron Inc. (NYSE:TXT) company, today announced at the AERO Friedrichshafen trade show in Germany the delivery of the first Cessna Citation M2 available for charter in Europe. The Citation M2 is managed by private jet operator Catreus, based in Biggin Hill, United Kingdom. The Citation M2 jet is the ultimate combination of beauty and efficiency. The M2 is the entry level jet that pilots have been asking for. Perfect for corporate, charter or private use, the M2 features a redesigned interior with excellent in-cabin technologies, updated touch-controlled avionics suited for a single pilot and two powerful Williams FJ44 engines, facilitating cruising speed of up to 400 knots. The M2 offers a wide selection of customizable confi gurations with an all-new interior, in-cabin technologies, climate control, and adjustable lighting. The smart design of the M2 continues in the fl ight deck where intuitive touch-screen avionics and large-format displays provide pilots with optimal awareness. When it comes to performance, the M2 delivers. The Citation M2 can operate at airports with runways as short as 978 meters (3,210 feet) and will climb to 12,497 meters (41,000 feet) in 24 minutes. 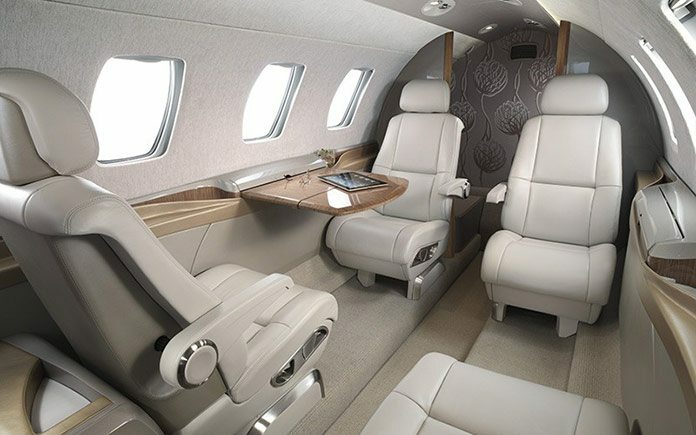 The aircraft has seating for up to five passengers and a range of up to 2,852 kilometers (1,580 nautical miles). It is certified for single-pilot operation with room for seven passengers and features two Williams FJ44 engines. The Citation M2’s clean cockpit design features Cessna’s advanced flight deck powered by Garmin G3000 avionics, with high-resolution multifunction displays and split-screen capability. Touch-screen interactivity comparable to a smartphone provides pilots with precise performance information in a logical, familiar user interface. From the cockpit divider aft through the rear lavatory, the main passenger cabin of the Citation M2 is 1.47 meters (58 inches) wide and 3.35 meters (11 feet) long with a 13 centimeter (5-inch) dropped aisle providing a cabin height of 1.45 meters (57 inches). Eight large windows, roomy adjustable seats and intuitive controls highlight the all-new cabin. As of the end of 2014, 58 Citation M2s have been delivered to customers around the world since receiving Federal Aviation Administration (FAA) certification in December 2013 and European Aviation Safety Agency (EASA) certification in June 2014. 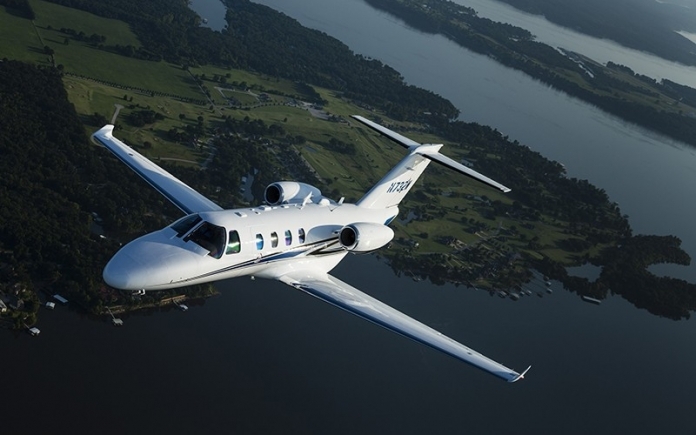 Cessna created and continues to lead the light jet segment, giving customers the widest product range on the market. 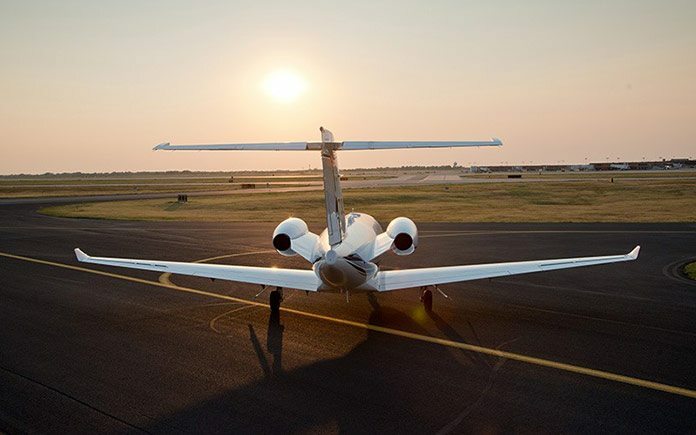 From the popular entry-level Citation Mustang and Citation M2 jets, to the upgraded efficiency and comfort of the CJ3+ and the top performing CJ4, Cessna’s Citation CJ family of light business jets has evolved to offer a range of capabilities, systems and options unmatched in its class.